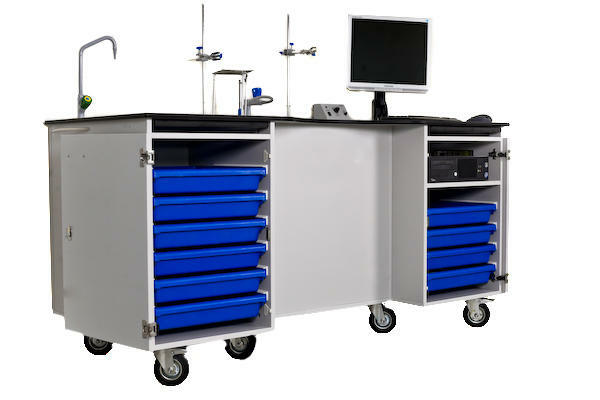 Fitted with a laboratory-standard Trespa Athlon bench top with curved inset for ease of use. This material has excellent impact, scratch, heat, acid and chemical resistance. 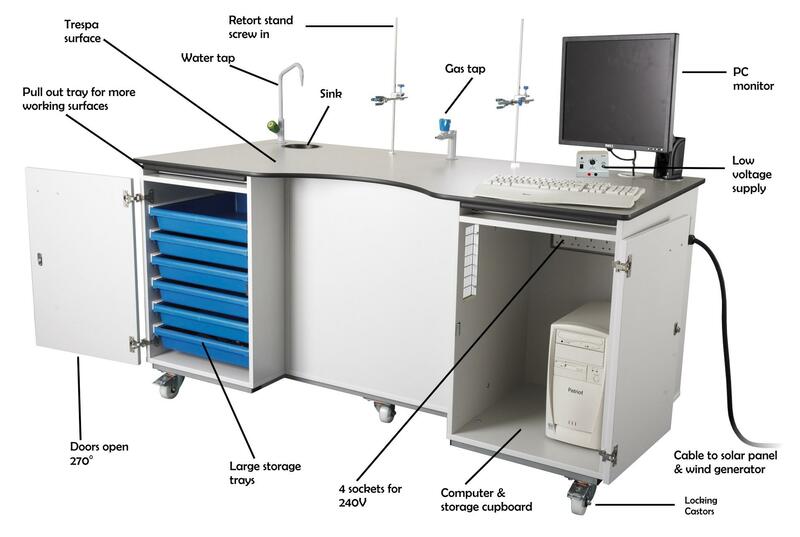 Also, the bench is fitted with two pull out bench top extensions to maximise the useable workspace plus a mains power lead with multi-socket outlet allows several devices e.g. computer, to be plugged into. standard 4mm lead sockets with DC and AC output at 5 amps. 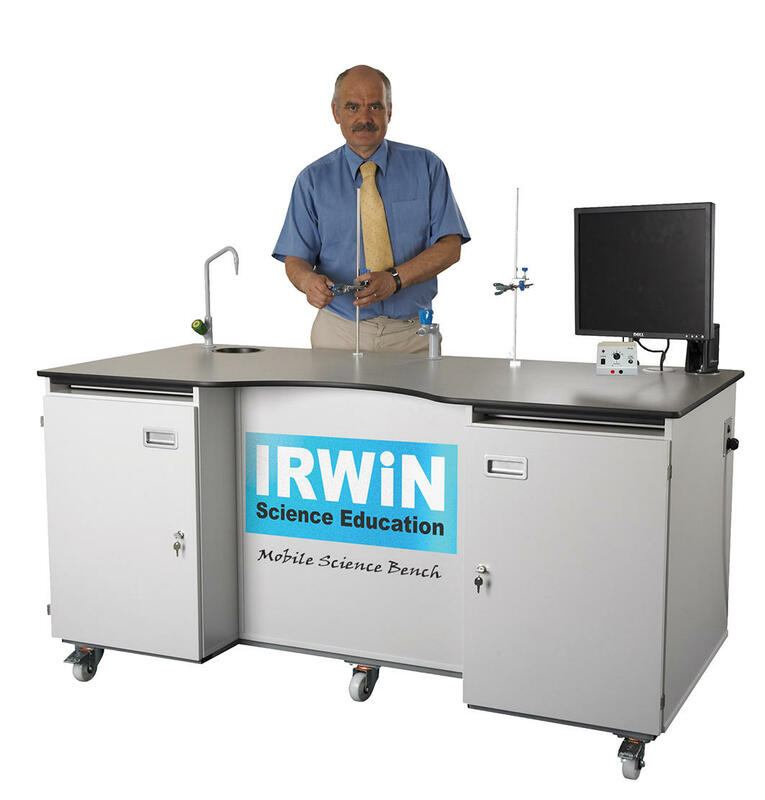 * Please note: The bench is not supplied with either a gas regulator or gas bottle.A suitable and sufficient COSHH (Control of Substances Hazardous to Health Regulations) and DSEAR (Dangerous Substances and Explosive Atmospheres Regulations) risk assessment must be performed for gas and gas equipment by the school. 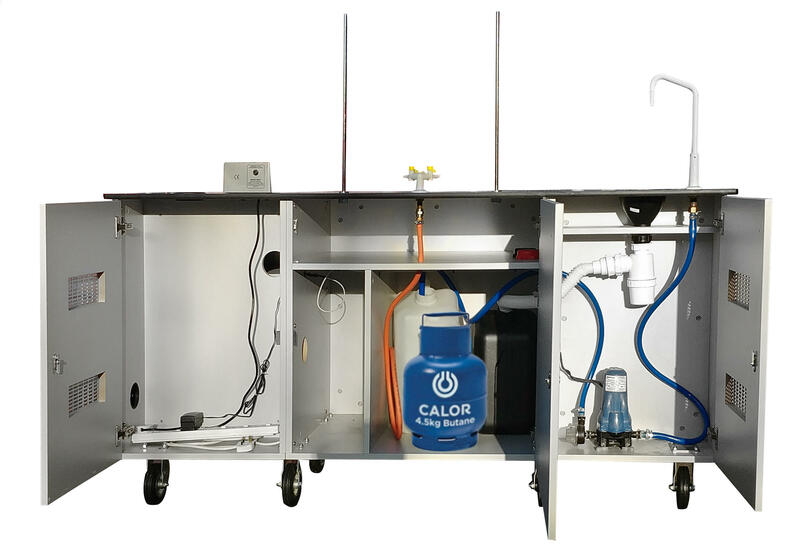 * Gas bottle requirements are Butane gas in either 3.5kg or 4.5kg sizes.